German Federal Railroad (DB) class 24 passenger Steam locomotive with a tender. Version with Witte smoke deflectors. 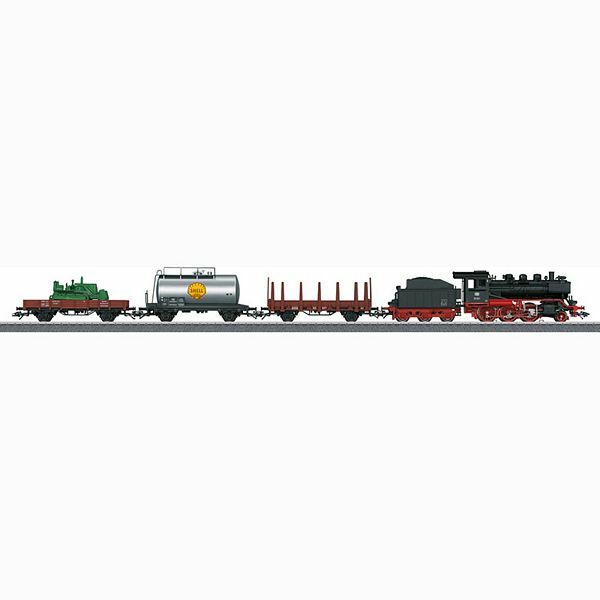 1 stake car, 1 Shell tank car, and 1 low side car with a load, all lettered for the German Federal Railroad. Track for one oval 190x80 cm (75"x32") with one side pass, transformer (110 volts or 220 volts depending on Country to be used) and hand Mobile Station with 60113 box to control up to 10 trains at one time (10 memories) and can control digital turnouts.